cream cheese, condensed milk and gelatin folded into whipped cream, atop a sugar/orange liqueur-drizzled sponge cake. 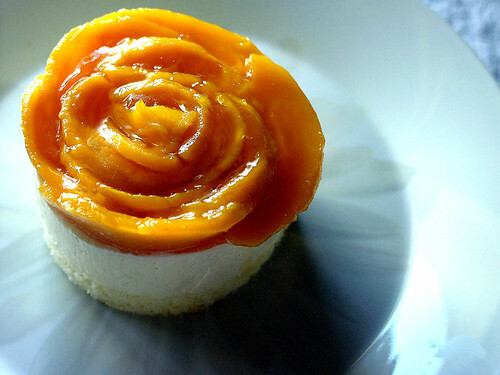 topped with "petals" of fresh mango, and a mango-orange juice glaze. update: it's by no means perfect, but the working recipe is here if you'd like to try making it yourself.